Combat Stress or operational theater stress or deployment stress is not PTSD. Combat Stress is a normal body and mind reaction to shock and stressful situations and human experiences that are common in war zones. PTSD is a diagnosis given by a psychologist or psychiatrist when symptoms of combat stress have not improved over a long period of time (more than 1 year). Proper and early treatment of combat stress prevents the development of PTSD (post traumatic stress disorder) in most cases. Symptoms of combat stress include (not all possible symptoms listed): insomnia (poor sleep, waking feeling not rested, waking throughout night, waking at the same time every night, etc), unexplained anger and/or frustration, anxiety, mild depression, racing thoughts, reliving dreams or stressful memories (also called flashbacks), headaches, and/or body pain. Some people have more than one symptom and some have just one symptom. It is a problem if your symptoms impact your daily life and routine. Check out the post-traumatic experience growth inventory by the APA. 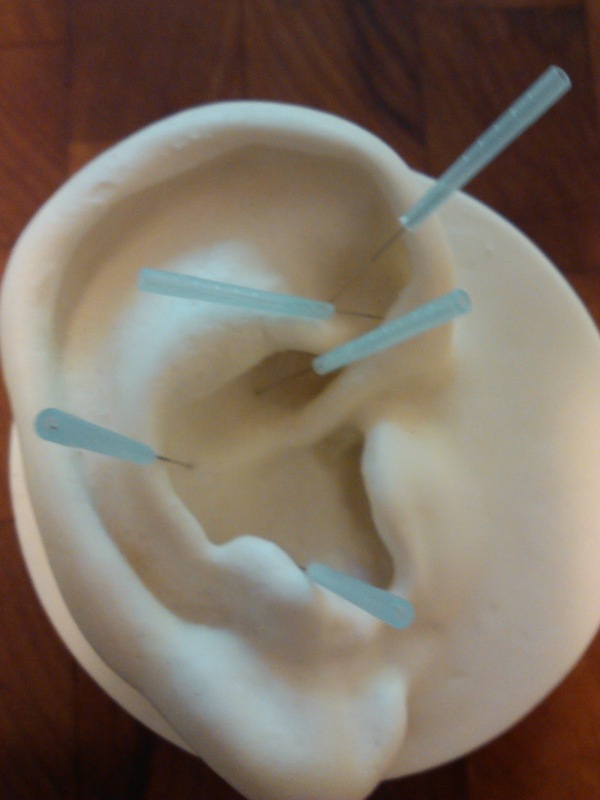 Stress-Relief Acupuncture as practiced through De-Stress Vets and other Military Stress Recovery Project Clinics helps relieve these symptoms through the use of tiny needles (as thin or thinner than a strand of hair) in special points in the ear (called auricular acupuncture). So, acupuncture is a good complement to your conventional treatment and/or counseling (with mental health therapist or chaplain). When someone is experiencing traumatic stress or combat stress, their body-mind is stuck in state called "sympathetic nervous system overload". It is the autonomic nervous system's job to fluctuate from "fight or flight" (sympathetic response) to "rest and digest" (parasympathetic mode) in a balanced, healthy way. Stress-Relief Acupuncture works by reminding the body's autonomic nervous system how to reset from "fight or flight" to "rest and digest". Our bodies have their own wisdom to heal; modalities/medicines such as acupuncture and Traditional Chinese Medicine help our bodies remember how to be in balance and not in "dis-stress" or "dis-ease" states. If you are a medic or corpsmen or other deploy-able medical personnel and interested in taking a course from De-Stress Vets, check out the website for information on "Acu-tack for Stress Relief©" and "Acu-tack for Pain Relief©" or send an email with "requesting info on Acutack courses" in the subject line to info@destressvets.com. See related posts in this blog such as Managing Traumatic Stress, Resilience in a Time of War, The Yellow Ribbon Reintegration Program, the FOCUS and FOCUS for Couples programs, Female Soldiers and their Wounds of War, and "What is the Training Level of My Acupuncturist?". Insomnia: How good is your Sleep Hygiene? ©Acutack courses copyright held by Megan Kingsley Gale, 2011.